The other day we made the 3 hour drive from Bend, Oregon to the Columbia River Gorge area to hike the Oneonta Gorge. Wes had found information about the hike and it looked incredible. My sister-in-law and her fiance were visiting from Florida, so we thought it would be a great way to show them a beautiful part of Oregon. 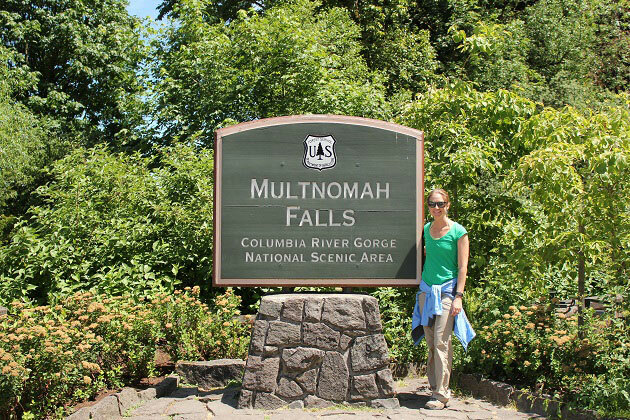 We had been to the Columbia River Gorge before to hike Multnomah Falls, and saw how much there was to do in the area. This time, we decided to bring one of our dogs Story along with us for the adventure. It ended up being one of the best Oregon hikes I have done so far, and one of the most unique waterfall hikes I have ever done. There is actually no trail for this hike. The river is the trail, and you walk the river the entire way until you reach the beautiful Lower Oneonta Falls at the end. The whole hike is only 0.6 miles long out and back, but there are some tricky parts that require some bravery and skills to maneuver, making it a little more strenuous. 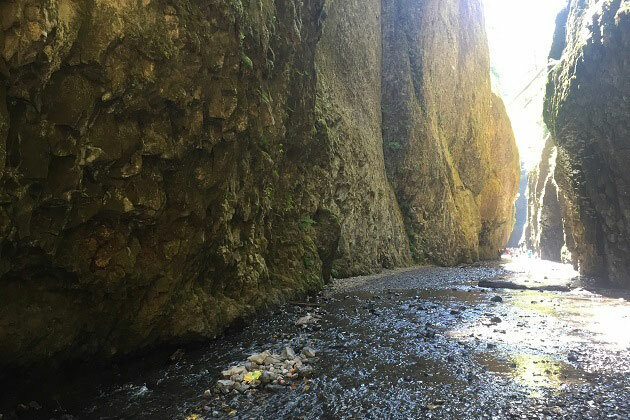 To get into the gorge, you’ll start off at the east end of the Columbia River Highway and will see a large sign for the Oneonta Gorge. Parking is very limited so it pays to get there early. We were there by about 9:30am on a Wednesday so it wasn’t too bad. The entrance to the gorge is a staircase on the side of the bridge. Once you walk down the staircase you will walk through a little bit of brush and then enter the riverbed. The riverbed was pretty shallow at this point so we were able to walk right through it without getting too wet. The gorge itself is beautiful, with bright green moss and plant-life hanging off the cliff walls. It’s a narrow canyon, only 20 feet wide. 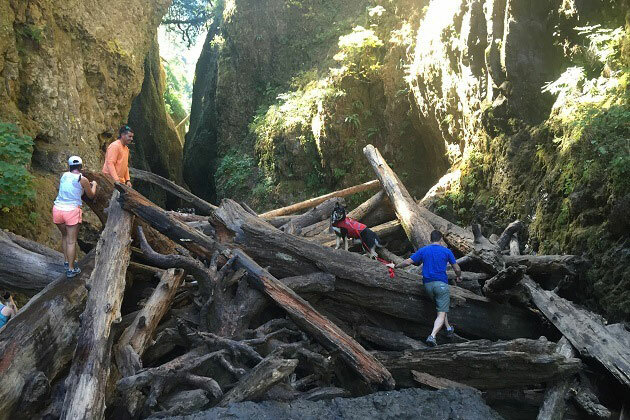 The first big challenge of the gorge hike is a huge log jam in the middle of the riverbed. You must first cross over a large rock and then the log jam to continue on. I admit that I was a little nervous crossing the log jam. I became like a worried mom watching everyone scale the logs. Story was having the time of her life. She has officially become an adventure dog! I don’t think I would attempt to cross this with a child. We all made it safely across and continued hiking along the riverbed. The water was a bit higher now, so I could no longer avoid getting my feet and legs wet by hopping from rock to rock. At one point, the water got a lot higher and it came up to our waists. The water was so cold, it took my breath away! Coming from Florida, the water I’m used to swimming in is usually lukewarm. Luckily, the high part of the river at this time in August was still pretty low. The water is pretty clear and I could even see some fish swimming around. 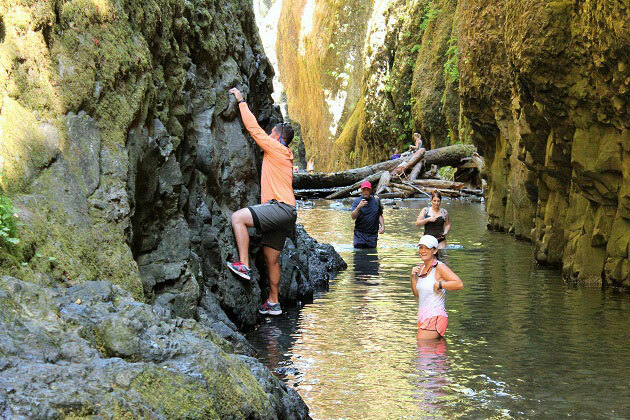 My soon-to-be brother in law attempted to avoid the water all together and decided to rock climb the cliff side. He actually made it all the way through the first time, but ended up going through the water on the way back. I wouldn’t recommend the rock climbing way! The water level will vary depending on the time of the year and the snow melt. I would recommend that you are prepared for any depth of water. This was Story’s first time actually swimming. We recently got her a dog life jacket to wear and it worked great! She was a little timid in the cold water at first, but she quickly got the hang of it. 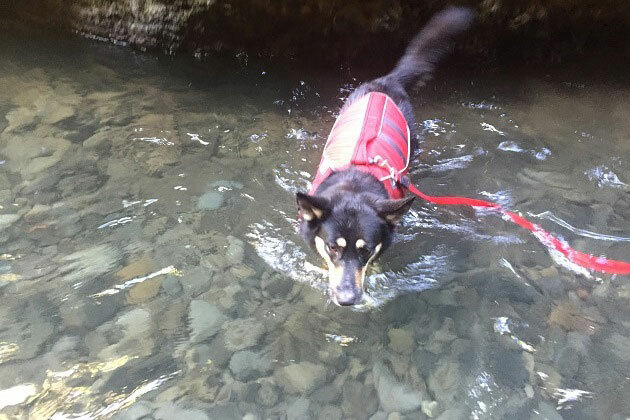 By the time we went back through the gorge water, she was swimming like a pro (even though she looks super unhappy in this picture…I think she had fun!). 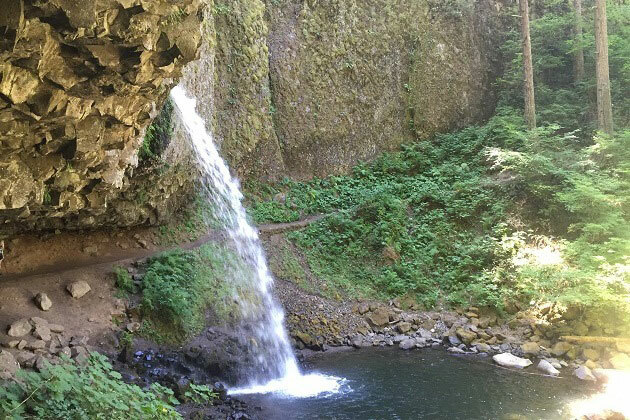 Once you get through the deeper water area, you will quickly come to the beautiful Lower Oneonta Falls. It’s a 100-foot waterfall that spills into a clear pool. You can swim under the falls if you choose to brave the cold water again, or just enjoy the view from higher ground. Get there early, especially on a weekend. It can get very crowded. I was actually really surprised by how many people were doing this hike. I guess more people are willing to get wet than I realized. Wear clothes that can get wet and dry quickly. Wear shoes with good rubber soles to grip the logs and rocks. I wore my Chaco’s and they worked well, but everyone else I was with wore hiking shoes with no problems. Bring a change of clothes, especially if you plan on doing any other hikes in the area. Bring a dry bag to put keys, camera, and wallet in, or plan on holding them over your head when crossing through the water pools. 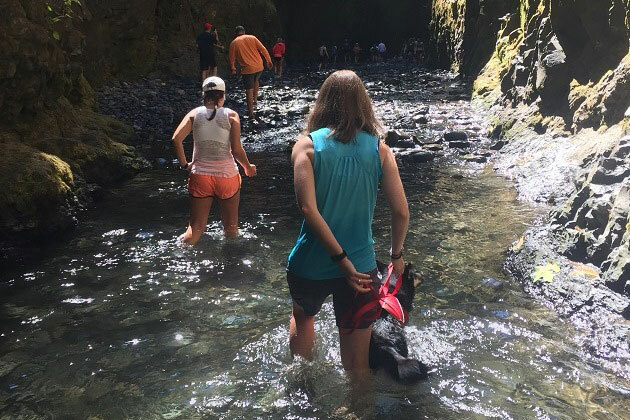 Take a peek at our Oneonta Gorge adventure to see what you can expect! (I am the videographer for this video. 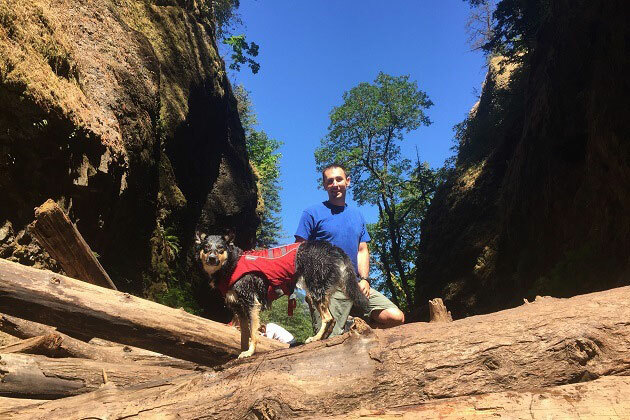 You will be watching my husband, Wes and our dog, Story exploring the Gorge). 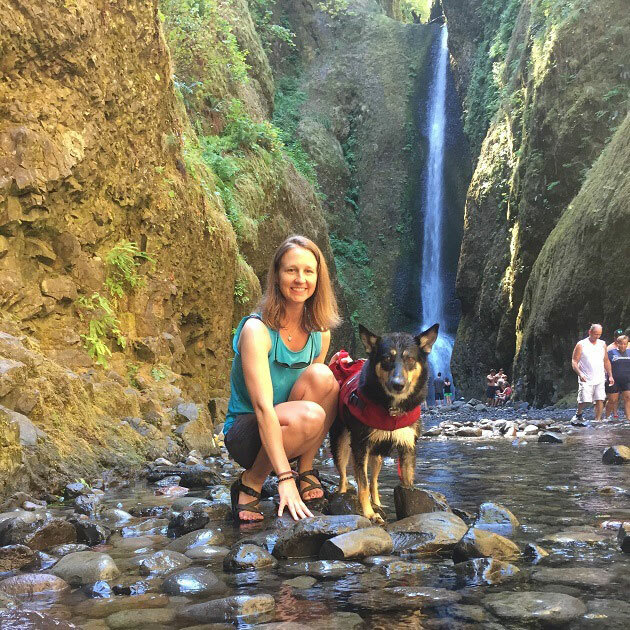 After the Oneonta Gorge hike, we changed clothes at the car and headed over to the Horsetail Falls trailhead to view the Horsetail Falls and take the short 0.8 mile hike up to Ponytail Falls from there. Ponytail Falls is a waterfall you can walk behind. It’s worth the short hike up the switchbacks to get a view of these falls. Before calling it a day, we took a stop by Mutnomah Falls so our visitors could see it. 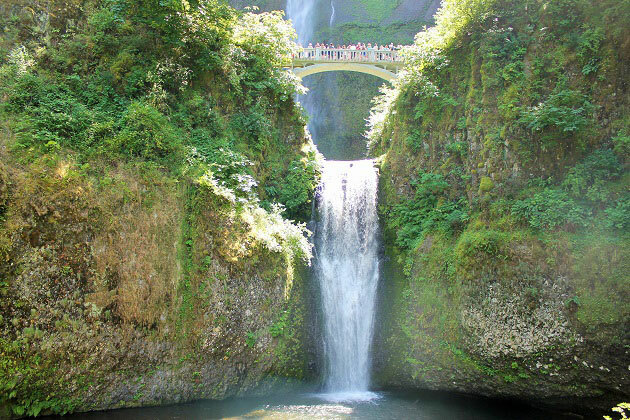 Multnomah Falls is one of the most popular waterfalls in the Columbia River Gorge, and you can see why. Right in front of the falls is a cute gift shop, cafe, and restrooms. You don’t have to walk very far past that to see the falls. We walked up to the viewpoint on our last visit, but weren’t very impressed and decided to skip it on this visit. 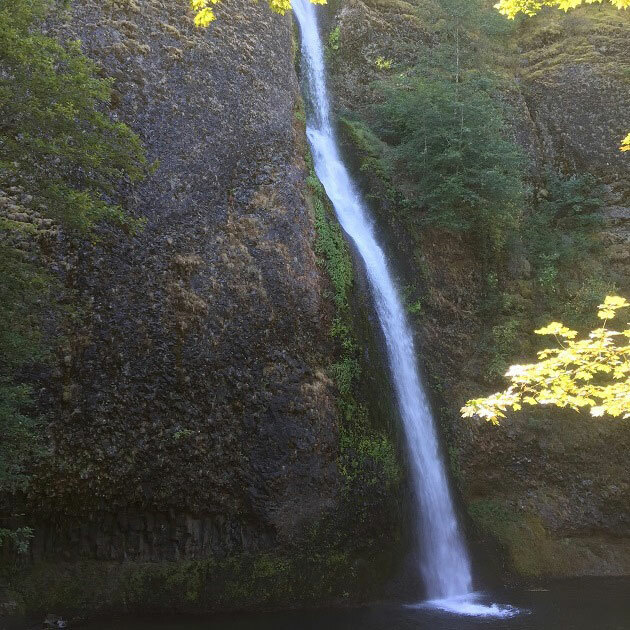 There are 77 waterfalls in the Columbia River Gorge and we’ve checked 5 off our list so far: Multnomah Falls, Wahkeena Falls, Horsetail Falls, Ponytail Falls, and now Lower Oneonta Falls. I’m sure we’ll be back for more soon! What’s your favorite waterfall hike? Would you brave the cold water for this one? I went to Multnomah falls this year for the first time and it was everything I imagined it would be an more! So beautiful. 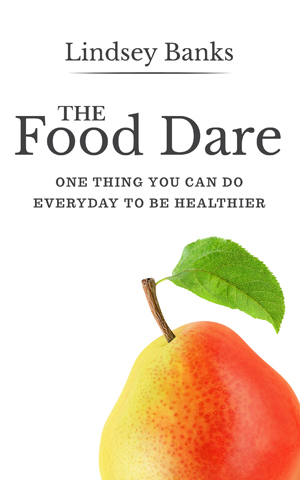 Just found your blog today from one of the link ups, can’t wait to follow along! 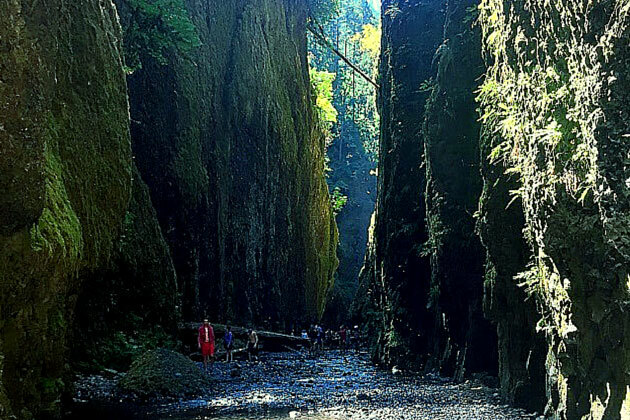 The oneonta gorge looks beautiful! Hi Julie! 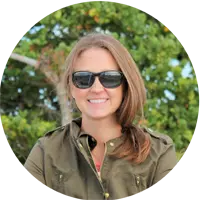 Thanks so much for connecting with me through the link-up! I am definitely going to check out your blog as well. 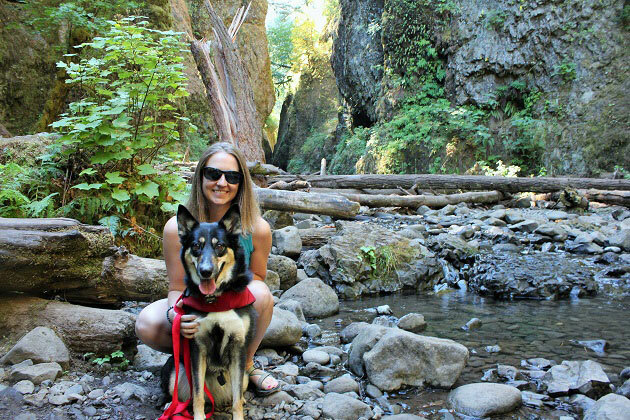 If you ever get back to the area, you should give the Oneonta Gorge a try for sure! Wow, I wish I would have been able to spend more time exploring the area when I was there- your photos are beautiful! Wow! Oneonta Gorge is beautiful!! It looks like such a fun hike. I don’t think I’d be a fun of the freezing cold water, but it looks like it’s worth it! Definitely worth it! I am not a fan of being cold in general but it was short! This looks awesome! I want to get back to more nature! Nature is like my own little form of therapy. 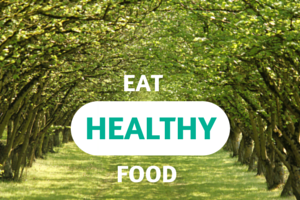 Definitely get out there if you can!